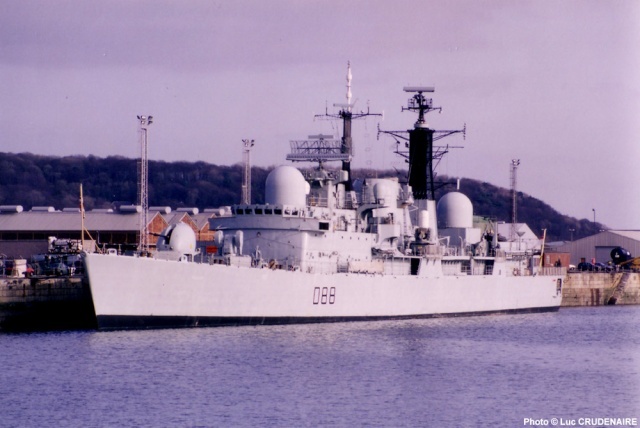 The Type 42 Class destroyer HMS Edinburgh (D97). 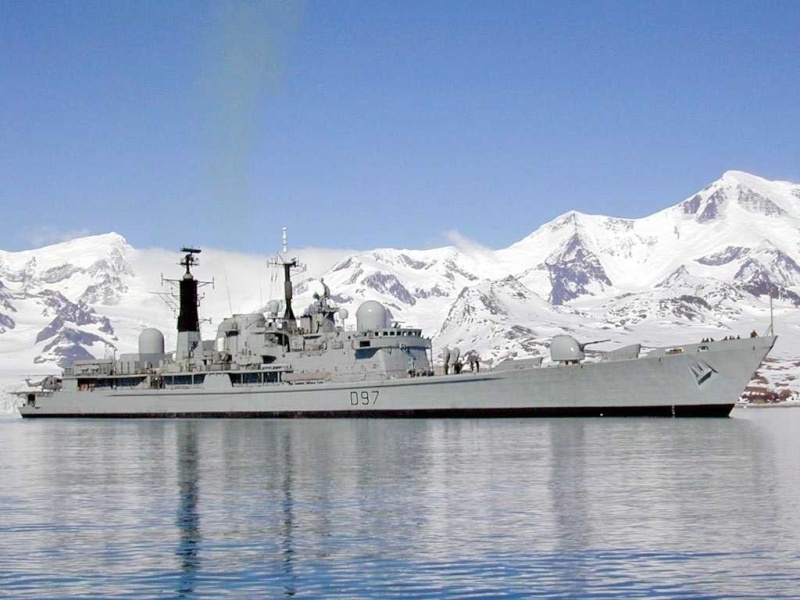 Caractéristiques techniques de T42 (Groupe 2 = HMS Exeter - HMS Nottingham - HMS Southampton - HMS Liverpool, Groupe 3 = HMS Edinburgh - HMS Gloucester - - HMS Manchester - HMS York). 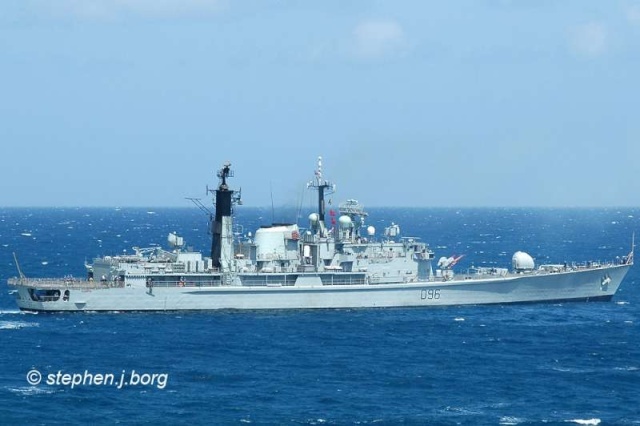 Propulsion et énergie : Turbines COGOG (Combined Gas or Gas), 2 hélices, 2 turbines auxiliaires énergie produisant 36 MW. 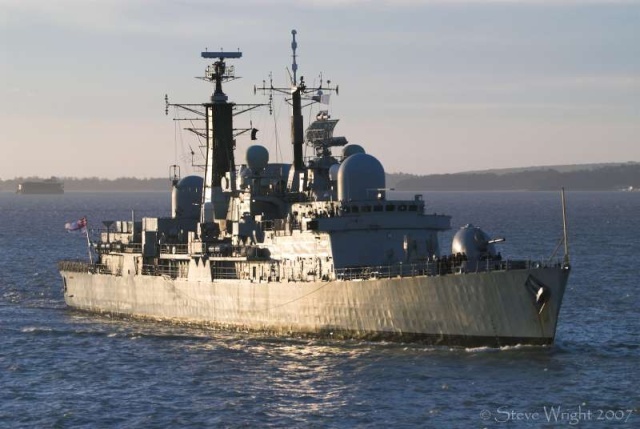 Défense électronique : Radar de navigation Type 1007 & 1008, Radar de surveillance et d'assignation Type 996, 2 détecteurs de radars Type 909, Sonar actif UAT Electronic Surveillance System Type 2050. 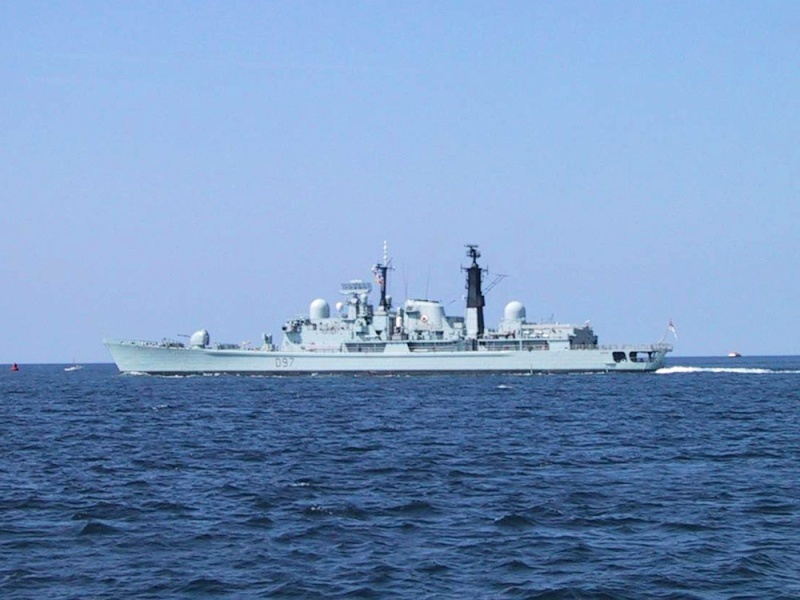 Aircraft : Hélicoptère Lynx MK 8 - Armement : Missiles anti navires, Torpilles Stingray Mk11 anti-sousmarine, mitrailleuse. 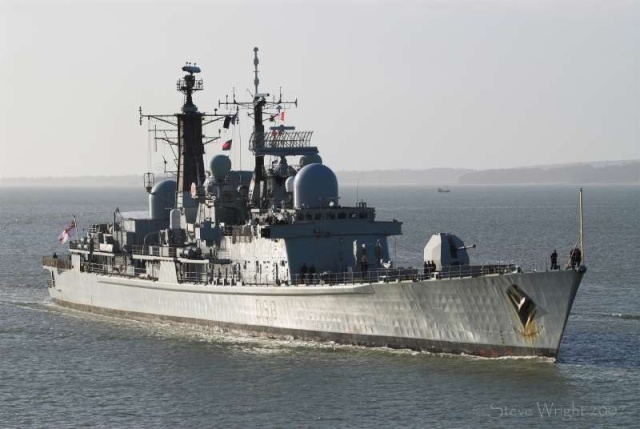 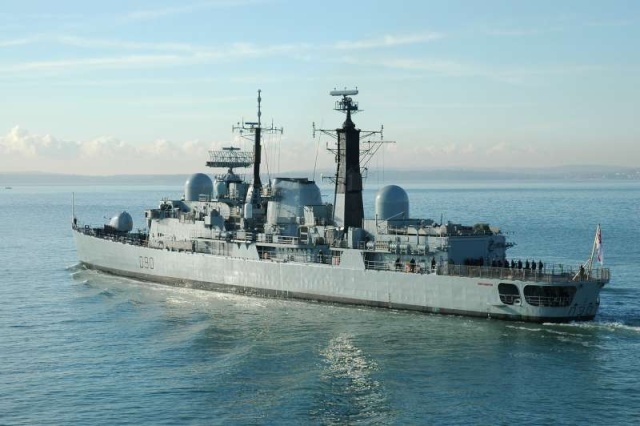 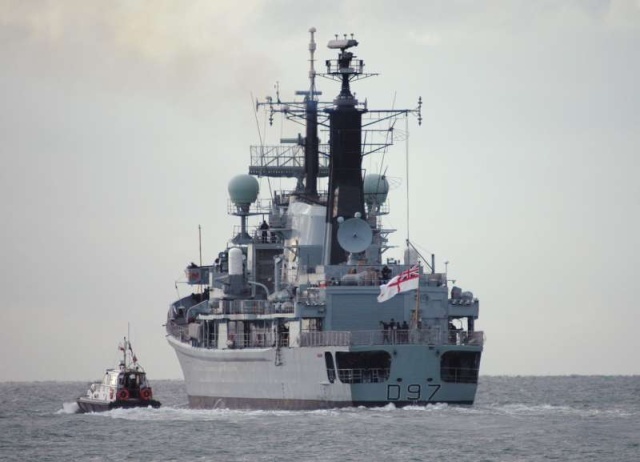 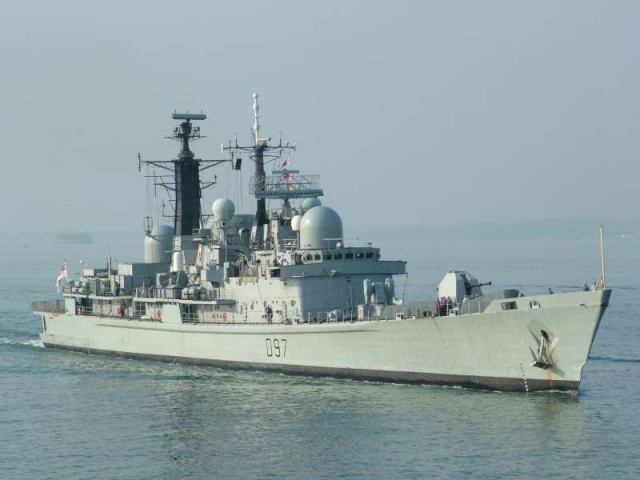 The Type-42 Class destroyer HMS Liverpool (D92) returns home to Portsmouth at 1000hrs on 20th July, 2006 after deployment in the South Atlantic during the past 6 months. 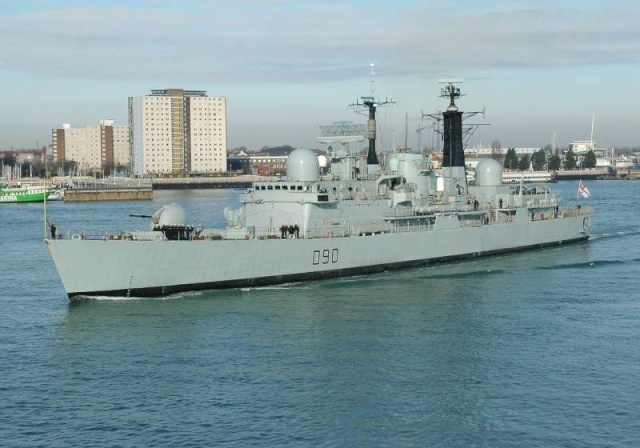 Type 42 "Batch 2" Class destroyer, HMS Nottingham (D91) entering Portsmouth Harbour on the 19th January 2007. 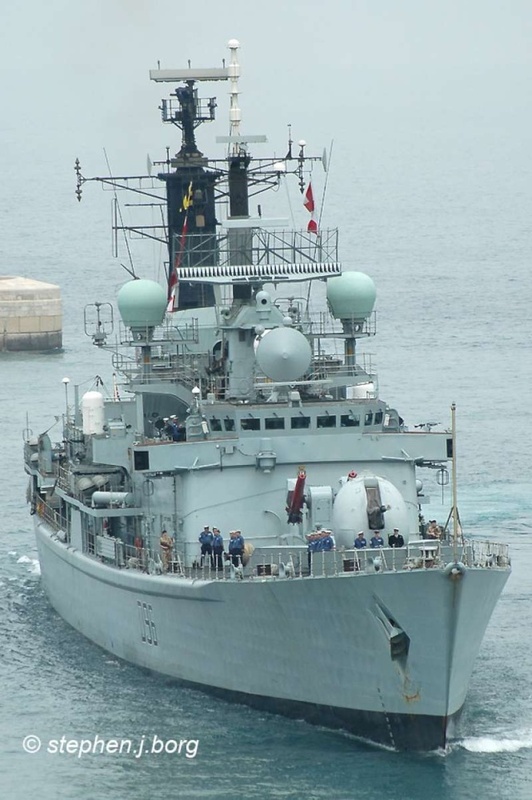 Sheffield Class (Type-42 Batch III) destroyer, HMS Glouchester (D96) entering the breakwater arms of Valletta GH (Malta) on April 11th, 2006. 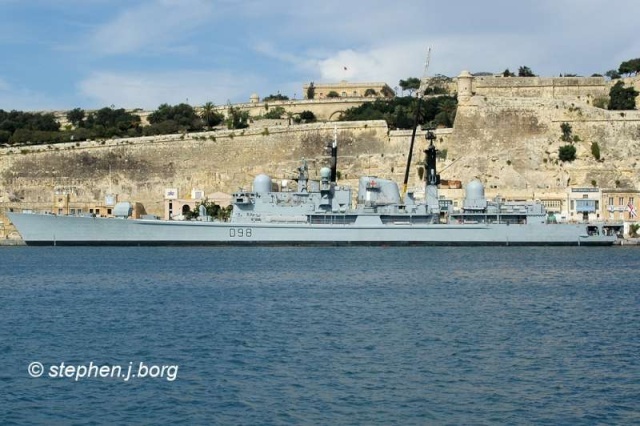 Sheffield Class (Type-42 Batch III) destroyer, HMS Glouchester (D96) leaving Valletta GH (Malta) on April 13th, 2006. 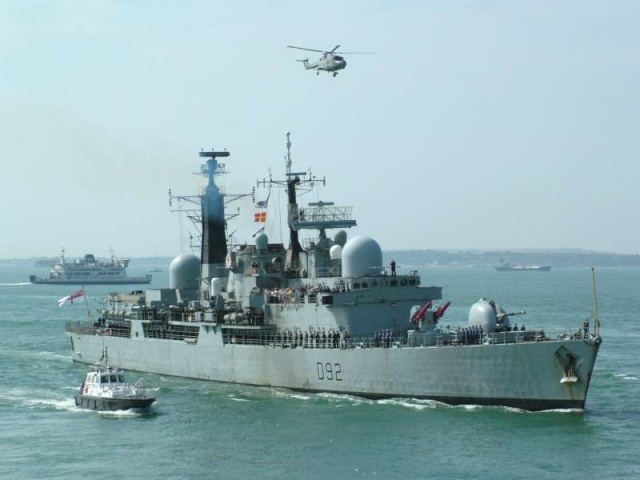 HMS Glouchester (D96) returns to Portsmouth on the 3rd August, 2006 after evacuating British Nationals from Lebanon. 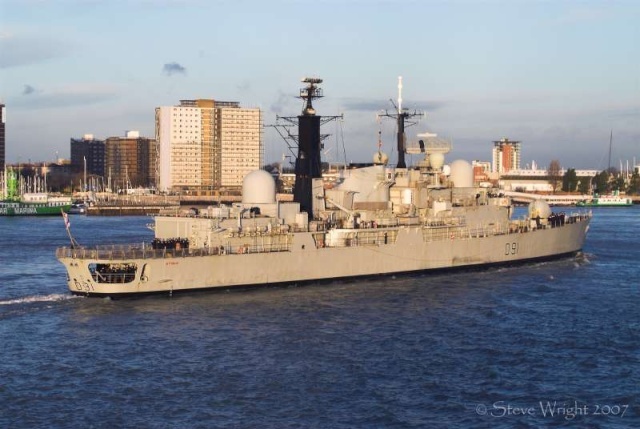 Sheffield Class (Type-42 Batch II) destroyer, HMS Southampton (D90) departing Portsmouth on the 28th February 2005. 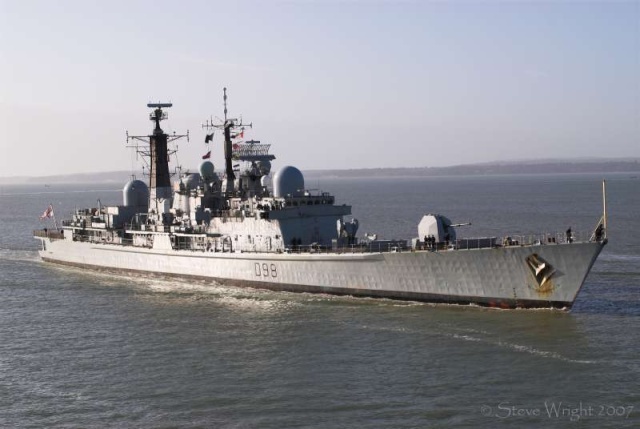 Sheffield Class (Type-42 Batch III) destroyer, HMS Edinburgh (D97) outbound from Portsmouth Naval Base on the 26th September 2005. 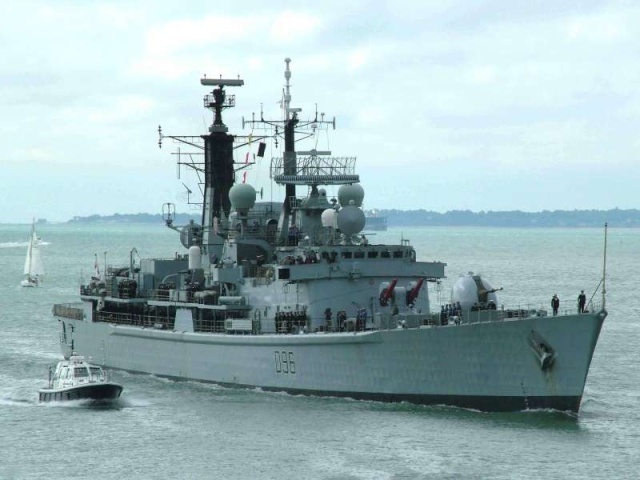 Sheffield Class (Type-42 Batch III) destroyer, HMS Edinburgh (D97) entering Portsmouth Harbour on 21st July, 2006. 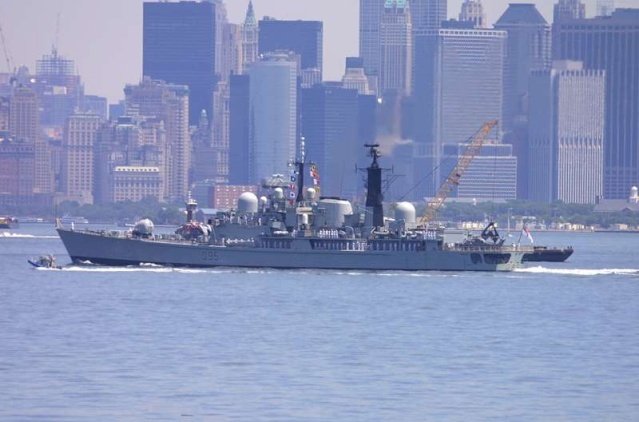 Type-42 Class destroyer, HMS Manchester (D 95) seen here in New York, USA - July, 2007. 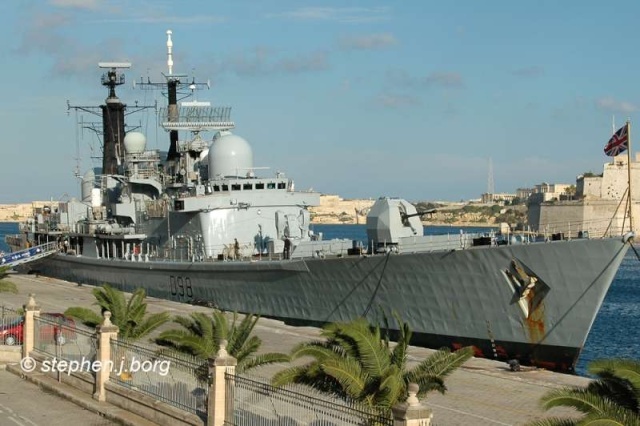 HMS York (D98) : Berthed at Pinto Wharf nos.4/5, Valletta GH (Malta), on 21 October 2006. 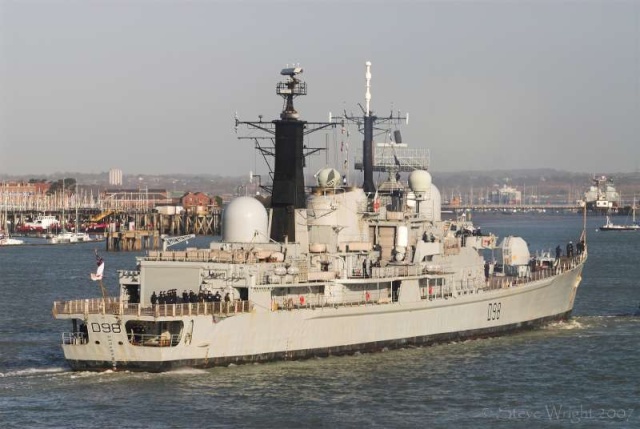 HMS York (D98) entering Portsmouth Harbour on the 9th March 2007.